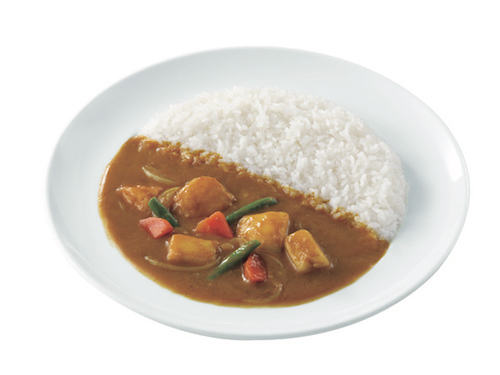 Home › Style › With the Introduction of a Vegetarian Curry, CoCo Ichiban Now Has a Curry for Everyone! “Curry House CoCo Ichibanya” is Japan’s largest curry chain. It is one of the few companies that has succeeded in developing a nationwide chain of restaurants serving curry and rice, and for Japanese people it is a much loved restaurant with a good vibe. But even Japanese might be surprised to find out that “CoCo Ichi,” as it is affectionately abbreviated, also deals in vegetarian curry! CoCo Ichi prides themselves on constantly monitoring new market needs and then making adjustments to serve their customers better. One such trend is the increase in foreign tourists in recent years, and another is a heightened focus on health conscious foods. I talked to Mr. Fujitani of the Ichibanya Public Relations Department about their vegetarian curry, a menu item that he tells us is shining with their corporate spirit. 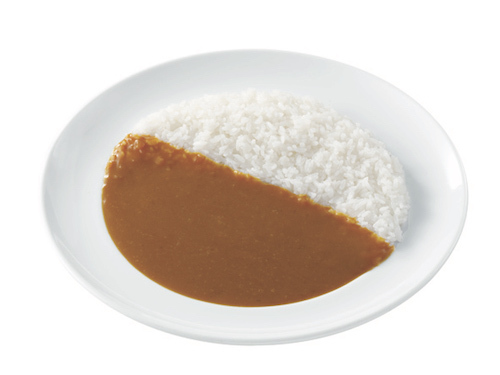 5 A great appeal of CoCo Ichi is being able to customize your curry! The stimulus for CoCo Ichi to add vegetarian curry to their menu was feedback from the stores, where they had been observing a clear demand for such a curry from their customers. The number of foreign tourists visiting Japan in recent years has been increasing steadily, but despite this increasing popularity, Japan has been lagging behind when it comes to the accommodation of specific dietary needs. In this diverse world of ours, there are religions which forbid certain meats or animal-based products. There are also many people with their own policies, such as vegetarians and vegans, who wish to eat a certain way for either health or ethical reasons. However, none of these groups are fully recognized or well supported in Japan. It now made sense to me how the increase in foreigners in Japan had created such needs, and all the factors in play. I wondered if it did not take a great deal of time to develop a vegetarian curry and then get it to market. About this, I sought an answer from Mr. Fujitani. “Development took only one to two months. It didn’t take long because it was developed based on the non-animal product curry developed when we went to Milan Expo in 2015. That Curry used at Milan Expo also only took about one or two months to develop because there was already familiarity with the use of animal product-free curry (no milk, no animal based raw materials) as developed for our overseas stores,” explained Mr. Fujitani. However, there were various difficulties encountered when it came to commercialization of vegetarian curry in Japan. “Contamination” is when animal-based products find their way into production. Looking for ingredients that are not mixed with anything of animal nature seems to present a big challenge in Japan at present. Vegetarian curry was sold nationwide after an introductory period in central Tokyo, where demand was high. What has been the response? It seems that the response from not only foreigners but also health-conscious Japanese was great. In Japan, there are few people who understand vegetarian and vegan practices properly, but there are undoubtedly many people who avoid animal products from the perspective of being health conscious. Vegetarian curry is a dish that meets the needs of this growing group of health-conscious Japanese. Clearly, despite the lack of a significant impact on sales, it is true that vegetarian curry has increased the number of people who can now enjoy CoCo Ichi’s curry. And it is also true that, especially when you consider the large selection of optional toppings available, a great deal more variations to the CoCo Ichi curry eating experience are now possible. CoCo Ichi tells us that their vegetarian curry was introduced to 112 stores on April 1, 2016, and had expanded to 172 stores as of February 1, 2017. This is not viewed as a menu for a limited time, but as a compliment to the standard menu. Moving forward, vegetarian curry is expected to be introduced more and more widely. 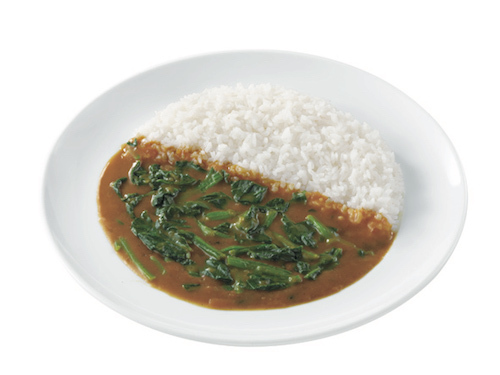 A great appeal of CoCo Ichi is being able to customize your curry! A feature of CoCo Ichi’s menu is that you can freely change the amount of rice as well as the spiciness of their curry, and also choose from a great abundance of topping options, thus creating a curry and rice meal that is perfectly to your liking. Much is certainly owed to this reason for ensuring that the national popularity of CoCo Ichi remains unsurpassed. Not just a great place for vegetarians, CoCo Ichi is also easy for those that need to be careful about allergic reactions. The store menu has detailed descriptions about potential allergens in their dishes. Curry customization is possible for vegetarian curry and non-vegetarian curry as well. Since toppings options include many vegetarian-friendly foods such as spinach, eggplant, tomatoes, mushrooms, and other vegetables, you can enjoy various combinations even if you eschew meat. When you think about it, this is a very significant step for nationwide chain to introduce a vegetarian menu. If more chains follow CoCo Ichi’s lead, more vegetarian menu options will be added, and a growing number of foreigners will be able to better resolve the challenges faced when eating out in Japan. Because there’s a CoCo Ichi serving vegetarian curry in my neighborhood, after interviewing Mr. Fujitani, I ventured out to have a vegetarian curry lunch as soon as I could. Even people accustomed to non-vegetarian CoCo Ichi will find nothing unusual about the taste of their vegetarian product! The satisfied feeling in my stomach was nearly the same as what you would expect from a meat-laden curry. If you have a store where the vegetarian curry has been introduced in your neighborhood, please stop by and give it a try! Although the vegetarian curry (which costs 500 yen, including tax) contains no animal meat, fish, shellfish, eggs, dairy products, or honey, there are dairy products on the same production line, so there is a possibility that tiny amounts of dairy may be present. Sakura-mochi: How About Some Rice Cakes with Red Bean Paste Wrapped in a Cherry Leaf?